A Day With the King - Season 3 on Air! 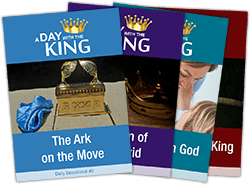 Don’t forget to look at our daily devotionals on our website. You can download them onto your tablet or iPad and use them in your worship time at home. Now that season 3 is airing, Aunty Nat, Aunty Cecily, and the team are working on season 4, so please continue to pray for us. Teddy is having a well-earned rest in his hutch with his best friend Lily who makes a special appearance in episode 13, so look out for that, we had a lot of fun. Every year before our program goes to air we have a preview night with all the kids that participated in the program with their families. We celebrate their hard work and the fact that God has brought us through another year. Check out the photos below.